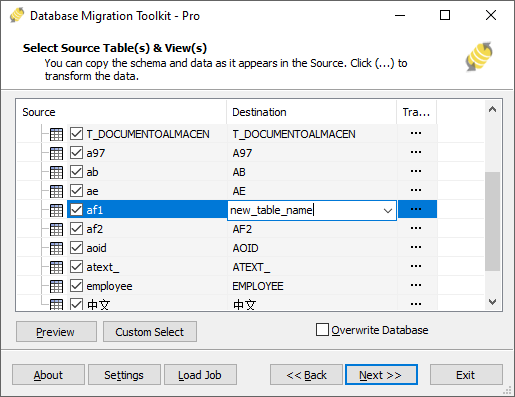 This article will show you how to use a simple database migration wizard to quickly migrate data from MySQL to MariaDB! Save you tons of complicated work and time! ESF Database Migration Toolkit . Microsoft Windows XP or higher. Input the server name (default: localhost) and port (default: 3306). Input the username (default is "root") and its password. Press "Refresh" button to list all databases, then choose an existing database. Input the server name (default: localhost), port (default: 3306), username, password. MariaDB supporting some different Storage Engines, please click here to get more information about MariaDB Storage Engine. Choose a character-set, e.g. : UTF-8. Press "Refresh" button to list all MariaDB databases automation, you can choose an existing database or enter a new database name, this toolkit automatically create the new database during the migration process. Select the tables/views which will be migrated. Click "..." to set the table options or remap the table structure. 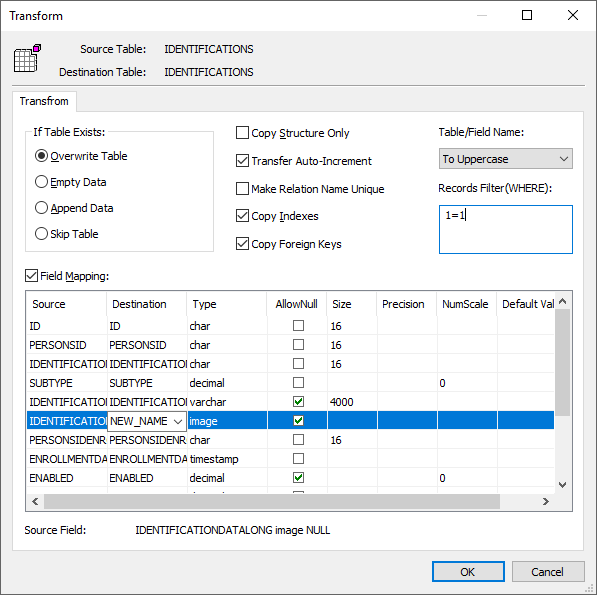 You can set the data transfer method (Overwrite Table/Empty Data/Append Data/Skip Table) or filter the data before transferring. Choose "Field Mapping" option, you can redefine the fields in the destination table, e.g. : field name, data type, default value, comment and also. Click "Submit" to begin the migration, this toolkit will help you quickly migrate data from MySQL to MariaDB without intervention. Click "Browse Log" to visit the full migration log. 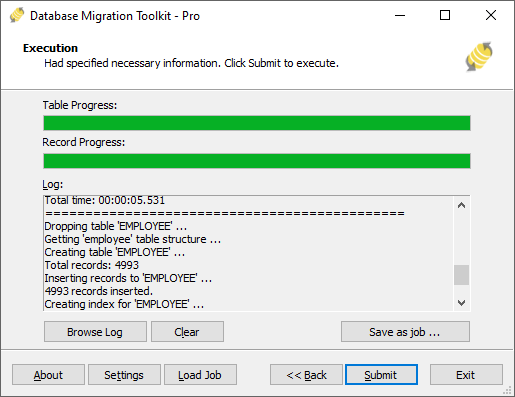 Click "Save as job" to save the migration settings to a job file, so you can "Load Job" to quickly reload the migration job in the future or run the migration job via command-prompt. Run "esfdbcv --help" in command-prompt to get the full command parameters. The program will complete the migration as quickly as possible and generate a migration report to you. All you have to do is sit and wait. If you have any questions or suggestions, please feel free to contact us.